Ever notice that many stories seem to have a similar pattern? There’s always a protagonist who goes on an adventure, makes new friends, encounters roadblocks, fights a bad guy, and returns home a changed person. In fact, we can sum it up for you in two words: Hero’s Journey. This story structure is as old as time. From Theseus and the Minotaur to The Lion King, so many narratives follow this pattern that it’s ingrained in our cultural DNA today. 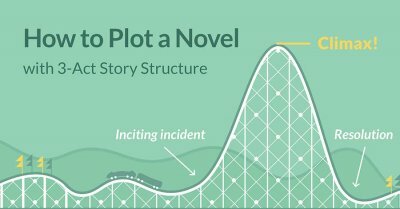 In this post, we'll show you how to make this classic plot structure work for you — and recap it all in a neat infographic. Ready to answer the call of adventure? Let’s cross the barrier. What is the Hero's Journey archetype? What is the Hero’s Journey acrchetype? The Hero's Journey is a classic story structure that's shared by stories worldwide. Coined by academic Joseph Campbell in 1949, it refers to a wide-ranging category of tales in which a character ventures out to get what they need, faces conflict, and ultimately triumphs over adversity. The Departure Act: the Hero leaves the Ordinary World. The Initiation Act: the Hero ventures into unknown territory (the "Special World") and is birthed into a true champion through various trials and challenges. The Return Act: the Hero returns in triumph. The Hero's Journey has its fingerprints in everything from The Lion King and horror novels to Star Wars and Arrival. But keep in mind that you don't necessarily need to follow it beat by beat. You can instead think of it as a map: you can stray from the set path whenever you like. But when you’re struggling to figure out what should happen next, it can act as a narrative arc guide to suggest what the next milestone should be. Believe it or not, this story structure also applies across mediums and genres. To show you how it can be used outside of your average sword-and-sorcery books, we've adopted the 1976 film Rocky as an example in each step. In which we meet our Hero. The journey has yet to start. Before our Hero discovers a strange new world, we must first understand the status quo: their ordinary, mundane reality. It’s up to this opening leg to set the stage, introducing the Hero to readers. Importantly, it lets readers identify with the Hero as a “normal” person in a “normal” setting, before the journey begins. In the opening of Rocky, Rocky Balboa is introduced as a mediocre boxer and loan collector — just doing his best to live day-to-day in a poor part of Philadelphia. In which an adventure starts. Be casually strolling when some passing phenomenon catches the wandering eye and lures one away from the frequented paths of man, i.e. Elliot in E.T. upon discovering a lost alien in the tool shed. The stakes of the adventure and the Hero's goals become clear. The only question: will he rise to the challenge? Apollo Creed, the undisputed World Heavyweight Champion, decides to make a big fight interesting by giving a no-name a chance to challenge him. Intrigued by the nickname, “The Italian Stallion,” he rings Rocky up. In which the Hero digs in their feet. Great, so the Hero’s received their summons. Now they’re all set to be whisked off to defeat evil, right? Not so fast. The Hero might first refuse the call to action. It’s risky and there are perils — like spiders, trolls, or perhaps a creepy uncle waiting back at Pride Rock. It’s enough to give anyone pause. In Star Wars, for instance, Luke Skywalker initially refuses to join Obi-Wan on his mission to rescue the princess. It’s only when he discovers that his aunt and uncle have been killed by stormtroopers that he changes his mind. Rocky says, “Thanks, but no thanks,” to Creed’s invitation. He’s reluctant, given that he has no trainer and is incredibly out of shape. In which the Hero acquires a personal trainer. The Hero's decided to go on the adventure — but they’re not ready to spread their wings yet. They're much too inexperienced at this point and we don't want them to do a fabulous belly-flop off the cliff. Enter the mentor: someone who helps the Hero, so that they doesn't make a total fool of themselves (or get themselves killed). The mentor provides practical training, profound wisdom, a kick up the posterior, or something abstract like grit and self-confidence. Wise old wizards seem to like being mentors. But mentors take many forms, from witches to hermits and suburban karate instructors. They might literally give weapons to prepare for the trials ahead, like Q in the James Bond series. Or perhaps the mentor is an object, such as a map. In all cases, they prepare the Hero for the next step. In steps former boxer Mickey “Mighty Mick” Goldmill, who sees potential in Rocky and starts training him physically and mentally for the fight. In which the Hero enters the other world in earnest. From this point on, there’s no turning back. Launched the central conflict? If not, here’s a post on types of conflict to help you out. 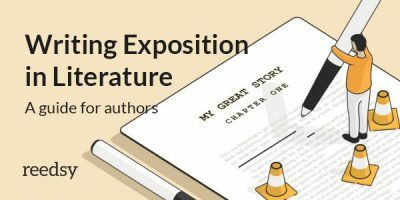 Established the theme of your book? If not, check out this post that’s all about creating theme and motifs. 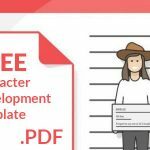 Made headway into your character development? 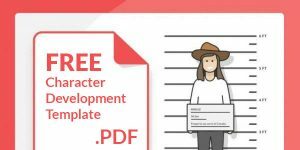 If not, this character profile template and these character development exercises may be useful. Rocky fully accepts the gauntlet to square up when he crosses the threshold into his love interest Adrian’s house and asks her out on a date. In which the Hero faces new challenges and gets a squad. When we step into the Special World, we notice a definite shift. The Hero might be discombobulated by this unfamiliar reality and its new rules. This is generally one of the longest stages in the story, as our protagonist gets to grips with this new world. In Jumanji: Welcome to the Jungle, Spencer, Bethany, “Fridge,” and Martha get off to a bad start when they bump into a herd of bloodthirsty hippos. In his first few months at Hogwarts, Harry Potter manages to fight a troll, almost fall from a broomstick and die, and get horribly lost in the Forbidden Forest. Marlin and Dory encounter three “reformed” sharks, get shocked by jellyfish, and are swallowed by a blue whale en route to finding Nemo. This stage often expands the cast of characters. Once the protagonist is in the Special World, he will meet allies and enemies — or foes that turn out to be friends, and vice versa. He will learn a new set of rules from them. Saloons and seedy bars are popular places for these transactions, as Vogler points out (so long as the Hero survives them). Rocky continues to try and win over Adrian while making a dubious friend in Paulie. In which the Hero gets closer to his goal. This isn’t a physical cave. Instead, the “inmost cave” refers to the most dangerous spot in the other realm — whether that’s the villain’s chambers, the lair of the fearsome dragon, or the Death Star. Almost always, it is where the ultimate goal of the quest is located. Everything you wanted to know about the Hero's Journey — and more! Note that the protagonist hasn’t entered the Inmost Cave just yet. This stage is all about the approach to it. It covers all the prepwork that's needed in order to defeat the villain. The Inmost Cave in Rocky is Rocky’s own mind. He fears that he’ll never amount to anything — something that he reveals when he butts heads with his trainer, Mickey, in his apartment. In which the Hero faces his biggest test of all thus far. Of all the tests the Hero has faced, none have made them hit rock bottom — until now. Vogler describes this phase as a “black moment.” Campbell refers to it as the “belly of the whale.” Both indicate some grim news for the Hero. 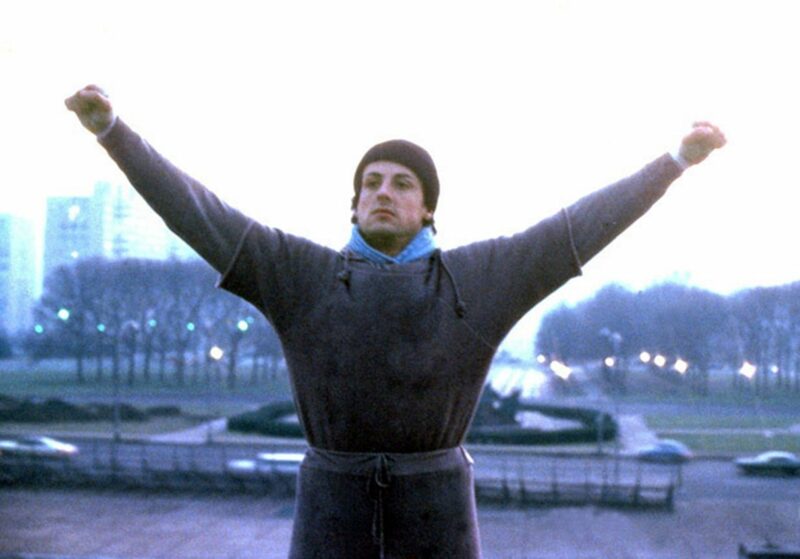 The start of the training montage marks the beginning of Rocky’s Ordeal. He pushes through it until he glimpses hope ahead while running up the museum steps. In which the Hero sees light at the end of the tunnel. Our Hero’s been through a lot. However, the fruits of their labor are now at hand — if they can just reach out and grab them! The “reward” is the object or knowledge the Hero has fought throughout the entire journey to hold. Luke rescues Princess Leia and captures the plans of the Death Star — keys to defeating Darth Vader. Dorothy escapes from the Wicked Witch’s castle with the broomstick and the ruby slippers — keys to getting back home. Rocky’s reward is the return of his faith in himself. He regains the self-esteem to realize that he has the stuff to take on Apollo Creed — win or lose. In which the light at the end of the tunnel might be a little further than the Hero thought. The story's not over just yet, as this phase marks the beginning of Act Three. Now that he's seized the reward, the Hero tries to return to the Ordinary World, but more dangers (inconveniently) arise on the road back from the Inmost Cave. More precisely, the Hero must deal with the consequences and aftermath of the previous act: the dragon, enraged by the Hero who’s just stolen a treasure from under his nose, starts the hunt. Or perhaps the opposing army gathers to pursue the Hero across a crowded battlefield. All further obstacles for the Hero, who must face them down before they can return home. On New Year’s Day, the fight between Rocky and Creed is held. Rocky realizes the challenge that lies before him in the first few rounds, in which both men are more or less equally matched. In which the last test is met. Here is the true climax of the story. Everything that happened prior to this stage culminates in a crowning test for the Hero, as the Dark Side gets one last chance to triumph over the Hero. Vogler refers to this as a “final exam” for the Hero — they must be “tested once more to see if they have really learned the lessons of the Ordeal.” It’s in this Final Battle that the protagonist goes through one more “resurrection.” As a result, this is where you’ll get most of your miraculous near-death escapes, à la James Bond's dashing deliverances. If the Hero survives, they can start looking forward to a sweet ending. Rocky’s knocked down more than a few times as the fight continues. The entire fight winds up lasting 15 rounds and takes both men to the brink of exhaustion. In which our Hero has a triumphant homecoming. Finally, the Hero gets to return home. However, they go back a different person than when they started out: they’ve grown and matured as a result of the journey they’ve taken. But we’ve got to see them bring home the bacon, right? That’s why the protagonist must return with the “Elixir,” or the prize won during the journey, whether that’s an object or knowledge and insight gained. Of course, it’s possible for a story to end on an Elixir-less note — but then the Hero would be doomed to repeat the entire adventure. Rocky doesn’t win the fight — but he doesn’t care. He’s won back his confidence and beaten his mental demons. And he’s got Adrian, who tell him that she loves him. The following infographic can be used as a hero’s journey template. 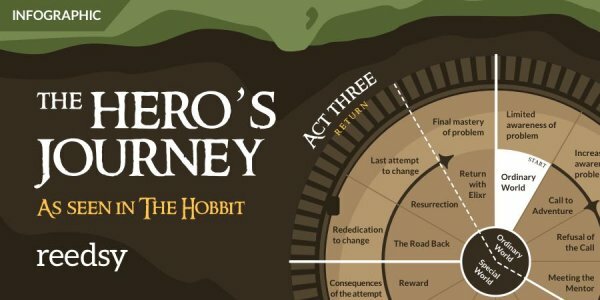 Follow Bilbo along on each of the 12 steps of his journey — as you go through, plot your own character’s journey through the: Ordinary World, Call of Adventure, Refusal of the Call, Meeting the Mentor, Crossing the First Threshold, Tests, Allies, Enemies, Approach to the Inmost Cave, Ordeal, Reward (Seizing the Sword), Road Back, Resurrection, and Return with the Elixir! It’s important to remember that this story structure was conceived as a way to better understand story structure. 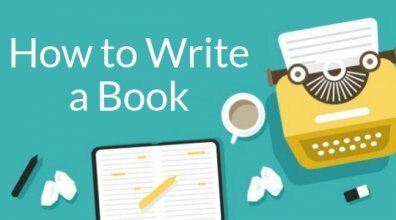 It’s just one helpful way to outline a novel and dissect a plot. For more longstanding theories on the topic, you can go this way to read about the ever-popular Three-Act Structure or here to discover Dan Harmon's Story Circle and three more prevalent structures. Remember, rules are made to be broken. There’s plenty of room to play within its confines. Do you want to experiment with an abbreviated “Resurrection” stage, as J.K. Rowling did in Harry Potter and the Sorcerer’s Stone? Are you more interested in exploring the journey of an anti-hero? It’s all possible. 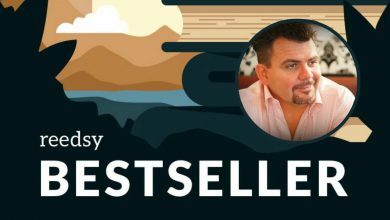 Once you understand the basics of this universal story structure, you can use and bend it in ways that disrupts reader expectations. 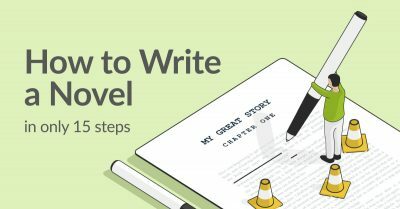 Are you planning on using the Hero's Journey in your book? What's your favorite example of this structure? Let us know in the comments below! Nice vid, good intro to story structure. Typically, though, the 'hero's journey' misses the all-important point of the Act II crisis. There, where the hero faces his/her/its existential crisis, they must DIE. The old character is largely destroyed -- which is the absolute pre-condition to 'waking up' to what must be done. It's not more clever thinking; it's not thinking at all. Its SEEING. 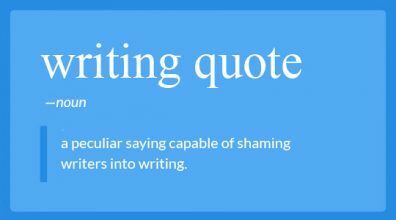 So many writing texts miss this point. It's tantamount to a religions experience, and nobody grows up without it. STORY STRUCTURE TO DIE FOR examines this dramatic necessity. Great article. Odd how one can take nearly every story and somewhat plug it into such a pattern.